The Royal Commission to Enhance the Operation and Management of the Royal Malaysia Police (the “Royal Commission”), established in 2004 by the Yang di-Pertuan Agong, had raised serious concerns about police abuses. The Royal Commission received over 900 complaints of abuse including deaths in custody, physical and psychological abuse of detainees, misuse of administrative detention laws, abuse of power, and systematic lack of accountability and transparency. In November 2005, the Royal Commission issued its report entitled “Royal Commission Report For Police Reform: Challenges and Recommendations” containing 125 recommendations, including that the government amend relevant laws to make them comply with international human rights standards, and take steps to eradicate corruption, enhance investigative policing, and improve police support and maintenance through measures such as better housing and salaries for the police. In order to systematically address the lack of accountability for abuses, the Royal Commission recommended the establishment of an Independent Police Complaints and Misconduct Commission (IPCMC) to investigate police malfeasance and take disciplinary measures. 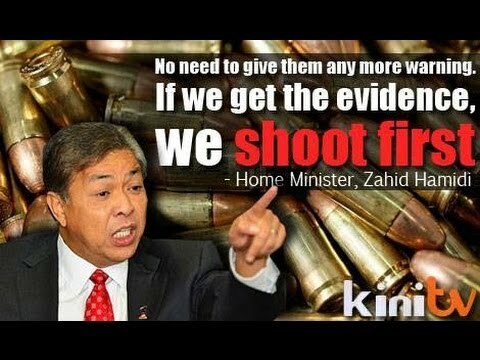 The establishment of the Police Commission was seen as (then) Prime Minister Abdullah Ahmad Badawi’s positive response to public concerns over reports of human rights violations, abuse of power and corruption by members of the Polis Diraja Malaysia (PDRM – i.e. the Royal Malaysia Police). Ten years later, Malaysia is far from witnessing a transformed police force. Deaths in custody and corruption are reflections of the PDRM. Public perception of PDRM has deteriorated tremendously. A survey by Amnesty International shows how Malaysians prefer not to trust the police if detained under their custody. Topping off this troublesome scenario is the support from a member of cabinet for police shooting without warning. In early June 2015, an exposé was published in respect of a 10-year investigation by the Special Branch unit which revealed that 80% of enforcement and security officials at the border are corrupt. How many of them involved were part of PDRM? Had they not been corrupt, would we have found ‘prison camps’ at Wang Kelian and Lubuk Sireh? Some villagers claim to have stumbled upon foreigners, weak and hungry, unable to carry themselves. These villagers would help them and then call the police to hand them over. How can the police now claim that they were not privy to the camps? Had they been genuine and responsible, would they not have found the camps years ahead? If one were to read the Human Rights Watch report on custodial deaths “No Answers, No Apology”, one would be able to observe a similar pattern of explanation from the police on how the victims had a parang and was running towards the police and they fired in self defence. What was more disappointing is that no thorough investigations were carried out in any of those cases. Some victims shot were as young as 15. 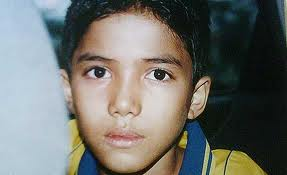 Remember Aminulrasyid? On 30 May 2015, HAKAM and the Malaysian Bar Council Task Force on Independent Police Complaints and Misconduct Commission co-organised a forum entitled “Rogue Cops: Workable Solutions – Police Accountability in Malaysia” to explore concerns over fresh reports of human rights violations by PDRM. The forum was held at the Raja Aziz Auditorium in Kuala Lumpur. HAKAM and the Bar Council Task Force on the IPCMC saw it fit to resuscitate the findings of the Royal Commission. One of the major proposals made by the commission is for the establishment of the Independent Police Complaints and Misconduct Commission (IPCMC). The Forum was moderated by Firdaus Husni, a member of the Bar and a member of the Bar Council Task Force on IPCMC. A report on the Forum is published at this link.